Our research is the first empirical evidence of the extent to which consumers cause the shift from popular to niche, and the importance of network position and collective intelligence in fueling the long tail of the digital economy. A brand manager’s most important market intelligence may no longer be about how to distinguish a product from the rest, but rather how its meshes with related products. 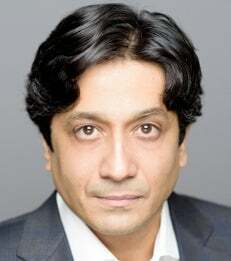 In our connected world of digital commerce, product positioning is not just a battle for the individual consumer's mind, it’s about where the product fits in the consumer collective and its position in consumer-created networks, says NYU Stern Information, Operations and Management Sciences Professor Arun Sundararajan. New research by Sundararajan and co-author Gal Oestreicher-Singer (Ph.D '08, Assistant Professor at Tel-Aviv University), which appears in the March 2012 MIS Quarterly, “Recommendation Networks and the Long Tail of Electronic Commerce,” tests the extent to which crowdsourced recommendations – for example, those created by the “customers who bought this product also bought these” links on Amazon.com – can create a “long tail” that shifts demand from mass-market products to less-popular, “niche” products. Networks like the ones created by these “co-purchase links"" define the new aisle structure of retailing and are the planograms of digital commerce. The authors drew their data from the demand for books in more than 200 categories on Amazon.com, a pioneer in the use of collective intelligence, to create “recommendation networks” that make it possible to measure the impact of such links. The authors found that categories whose location within the network was more “central”, and thus whose products were more influenced by the network’s links, had dramatically different demand distributions. Specifically, a doubling of this “network influence” was associated with an average 50 percent increase in revenue for the least-popular 20 percent of products and shifted about 15 percent of revenue from the most-popular 20 percent of products to the rest.